Hello friends! 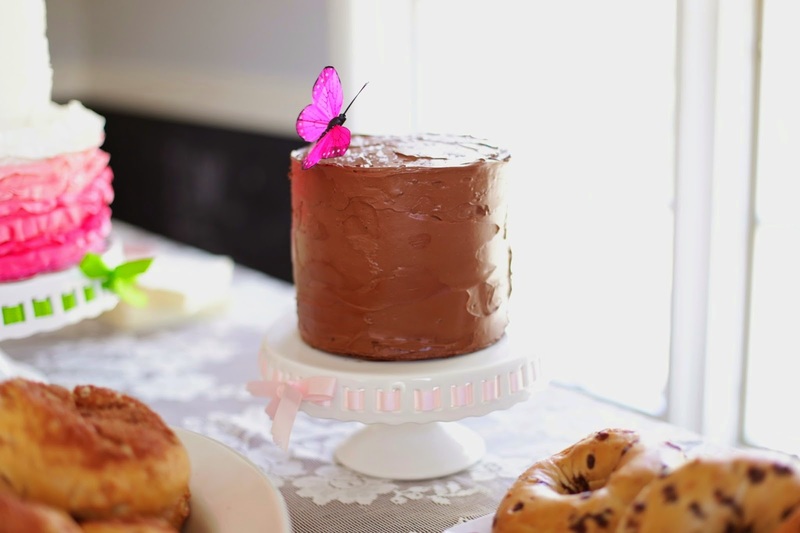 I want to introduce you to a newly opened and locally owned cake shop - Hey Sugar! - owned and operated by my lovely friend Heather. Her cakes are the BEST I have ever tasted and I would call myself somewhat of a cake diva due to the amount of cake-like baked goods I consume each week. That's got to count for something right? Hey Sugar! is an absolute gem, you guys, and I wanted to share some of Heather's work with you, those cakes she's baked for me (we are huge party people and now are in heaven that we've found a cake lady to match our enthusiasm ;). Below is the 3 tier cake that Hey Sugar! 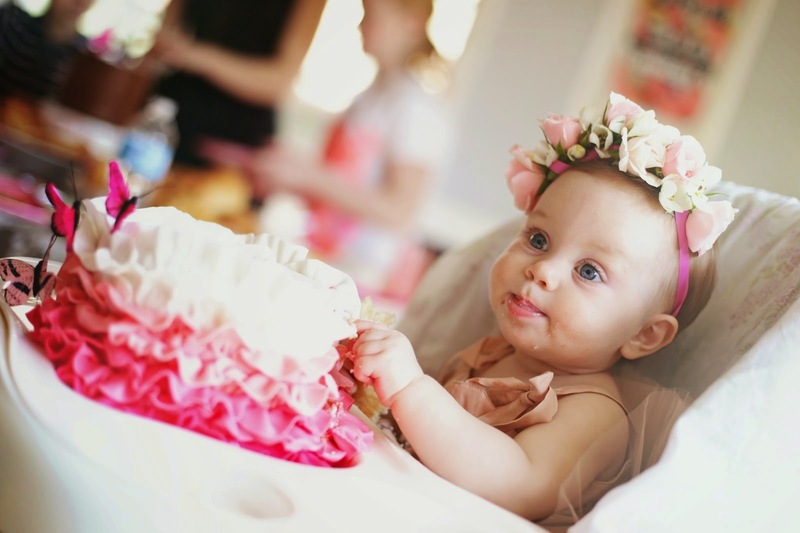 made for Scarlet's first birthday. It was a delish vanilla and raspberry cake with an ombre ruffle in fondant along the outside as well as a beautiful ombre center. 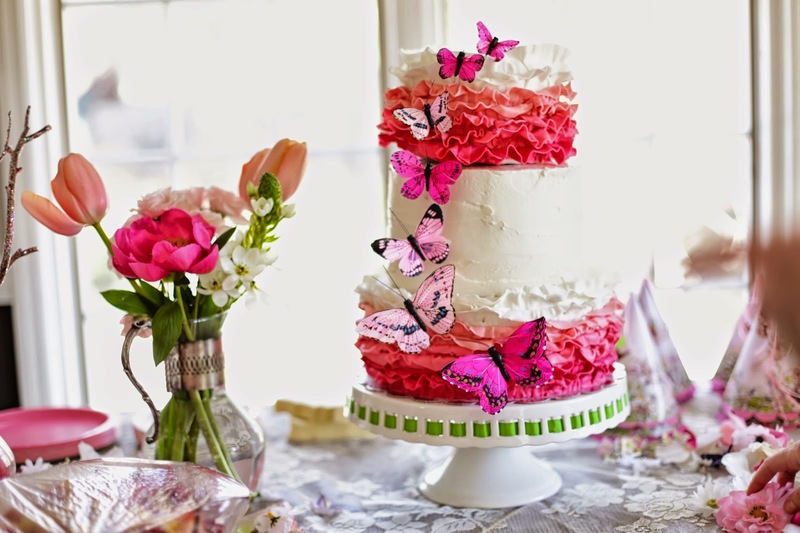 She also brought the butterflies as additional eye candy for our butterfly's first birthday. 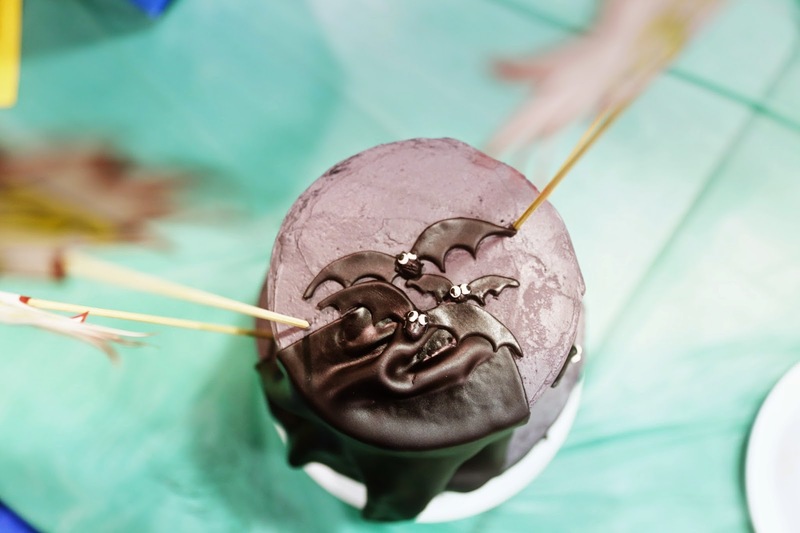 The top tier was Scarlet's smash cake. We also added a couple of other small cakes to the mix, simply because we were dying to taste all of Hey Sugar's yummy flavors. 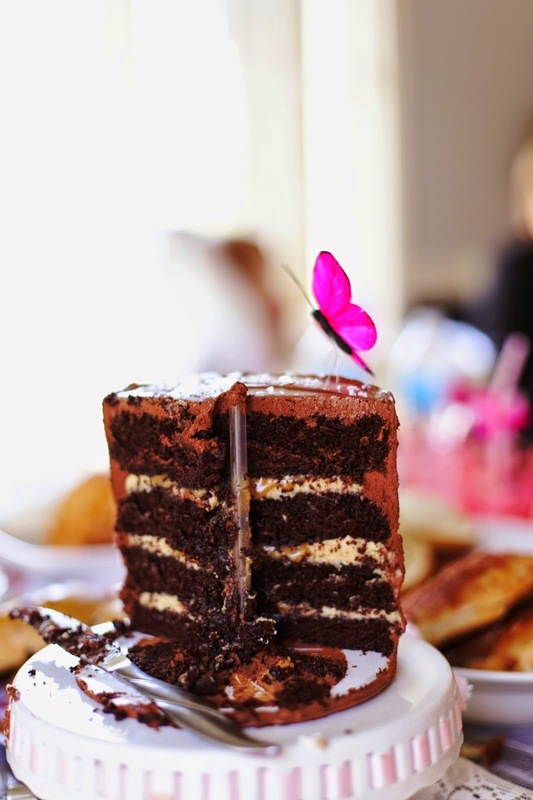 This one below was a chocolate and salted caramel cake and it was outstandingly rich and ahhhhh … just amazing. 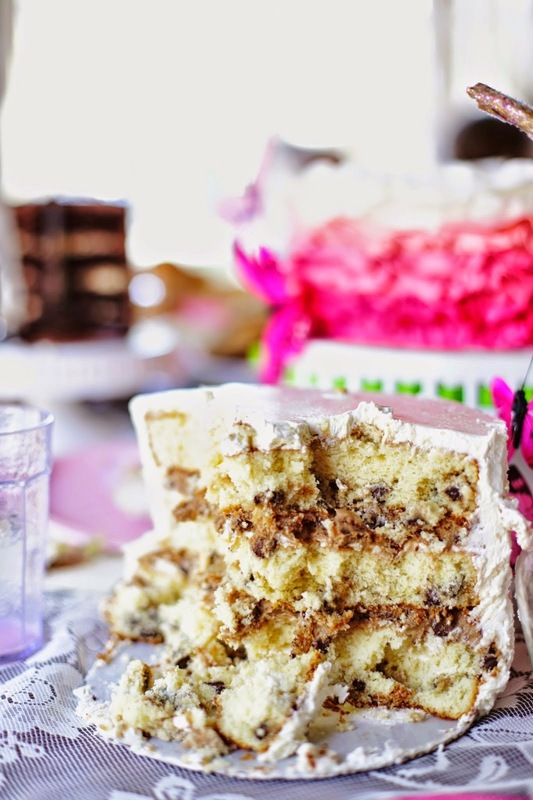 And here we have a small cookie dough cake, equally good and quite possibly my favorite. This picture was taken just after I smashed it myself (just kidding). But really, so good. And finally, here is Heather's latest creation. 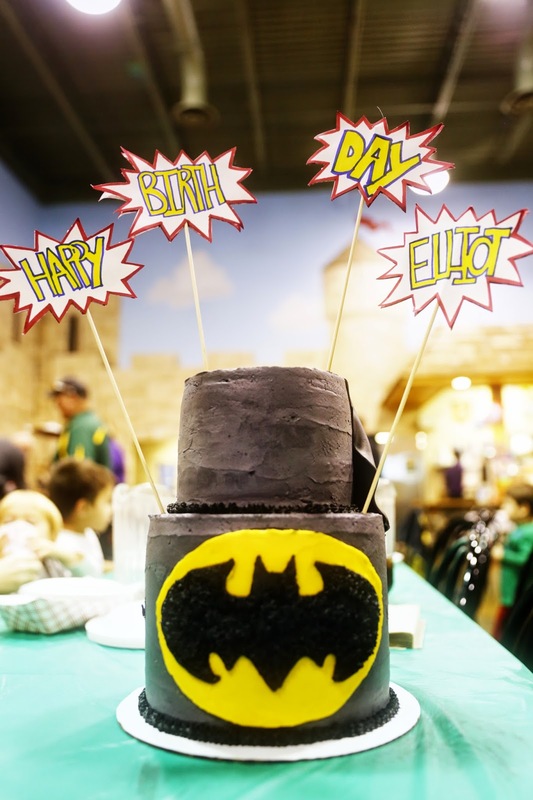 We recently celebrated Elliot's 5th birthday and he requested a Batman cake. Boy oh boy, did Hey Sugar! deliver. 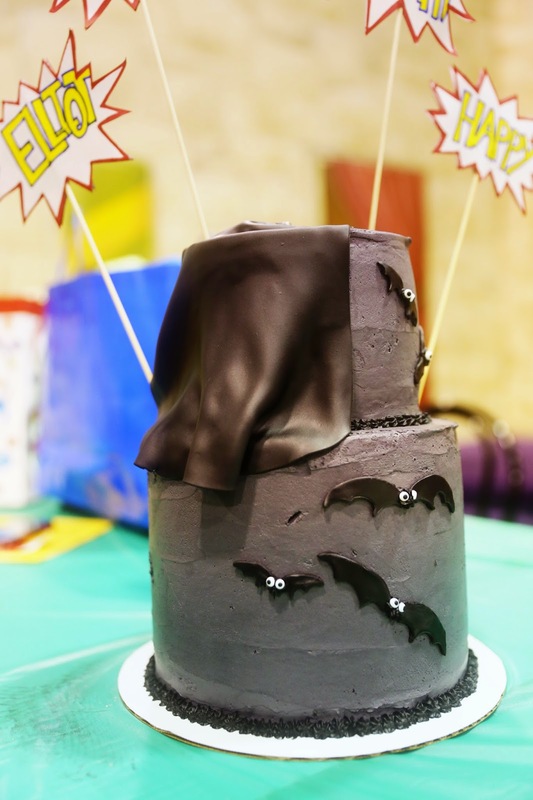 It was the coolest cake we had ever seen and not only did it have a Batman symbol but it also had a cape, lots of tiny bats with googly eyes and cartoon-like skewers shouting "Happy Birthday Elliot". This cake was an oreo flavor per Elliot's request. It had both vanilla and chocolate flavored cakes, oreo icing and oreo along the base. She can do anything and everything! 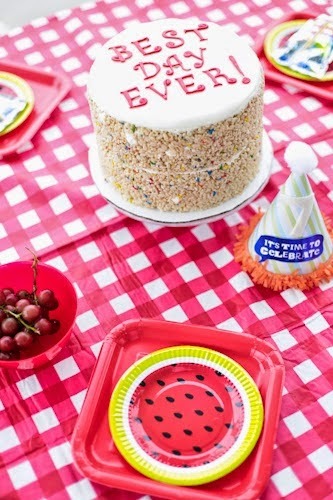 If you're a mama who's constantly searching for someone to bake your child's party goodies (instead of another cardboard cake from Festival like last time), look no further and get in touch with Heather. Her talent has no bounds, friends, and she is well worth every extra dollar spent for something unique, special and incredibly delicious. I thought I would add some pricing info to give you an idea of what is offered and where prices start. As you can see from the pictures, cakes can be smaller single sizes (for a birthday perhaps) or can be large and tiered (for a wedding). I already have 2 more coming for 2014! Next on the list is a carrot caramel pecan cake for my mom's 60th birthday. Oh yum! To book Heather for your next event, send her an email to htvolkmann@att.net. And as a side note, Hey Sugar! will have an assortment of the yummiest cupcakes in the best fall flavors (which we're busy brainstorming together) at my workshop event in November. 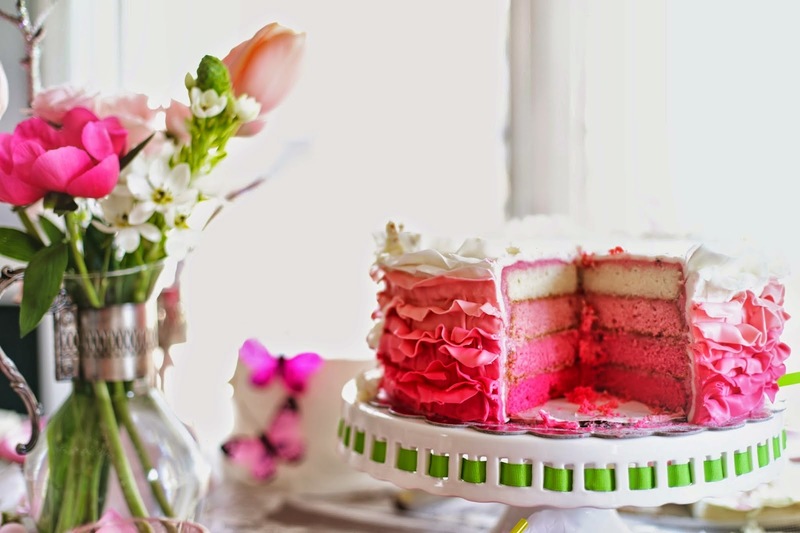 So even if you're not into crafting or flowers, come for the cake!